It’s only my second consecutive OUC race, but it’s starting to feel like a tradition. The only dislike is the heat in the first week of December. It was a cloudy 68°F morning with specs of rain mist for a couple of seconds and a tough 88% humidity in the air. Although the past 2-days had been very challenging for me, I still had put a bit of high expectations on myself in achieving another PR. I believed on my training and I was confident since I felt no lingering pain. My first mile was relatively strong at a 10:01 pace. It would be nice if I could have maintained this pace from start to finish. I started to feel the humidity and heat very soon, and at every water stop, I poured some of the water on my head to cool me off. I guess I started to train in the summer just so I could have a comfortable OUC race in December. At the 2-miler, my pace dropped to a ridiculous 11:17, but I know that it usually takes the first 3 miles for my body to truly get going. Miles 4 and 5, my pace stayed at 10:24 and 10:22, respectively; went up to 10:41 at mile 6 and down to 10:27 at mile 7. Right then, I felt it was going to be a long 13.1 miles; even though, I had no discomfort and was more mentally ready for the challenge ahead. At the 8-miler my pace went up to 10:45 and down to 10:42 at the 9-miler with 1:35:19 into the race. I couldn’t hide the panic on my face neither could my body ignore that I was running out of energy. I supplied my body with the rest of dry pineapple bits and walnuts I had (my favorite nutrition during my runs). My stomach didn’t reject it, but at the same time it was telling me it had enough. At the 10-miler, my pace was a horrible 11:06; but dropped to a 10:36 at mile 11, and when I though it couldn’t get any worse, I was running an 11:11 pace at the 12-miler with 2:08:13 on the clock. Bummer! No PR today. I was grateful for not dealing with an injury. I simply didn’t have enough power-energy to maintain the pace I wanted. It’s frustrating to say that I pushed so hard for 2:20:43 (top 45.8% in my division place) while I ran the JAX Marine Corps Half Marathon kind of injured (hamstring/quads) on a tougher course in 2:19:05 time. Nevertheless, I was happy to start and to finish another race. My husband wasn’t as fortunate and I missed racing with him today. I’m always thankful for his support, care and services as my support crew. This year’s OUC was special to be part of as most of my running friends from Track Shack also ran it and did an amazing job. Some ran the Space Coast (half or full) the week before OUC, and I got to chat with Jesse (the Tomoka Boston Strong guy) as he also ran the race. This race marks my 5th half marathon, and like every race, it conveys an enlightening and profound message. 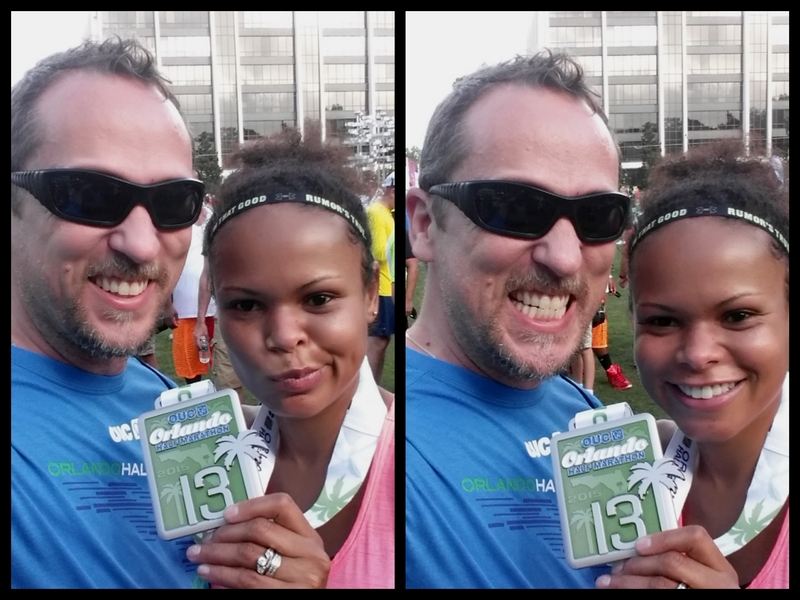 Gratitude continues to be the focus message in today’s 13.1 mile journey. My goal is to get better, but when the result is below my expectation, practicing gratitude feels like running hills. I accept what my body was able to give me for this race and I love it for allowing me to run. I feel in peace and ready for what’s ahead as I look forward to dedicate on track work while continuing to strength my body. I’m thankful for my husband, family and friends, who encourage me and through their wisdom show me that finishing a race, effort and dedication are also factors of merit and pride. “You were born to run. Maybe not that fast, maybe not that far, maybe not as efficiently as others. But to get up and move, to fire up that entire energy-producing, oxygen-delivering, bone-strengthening process we call running. 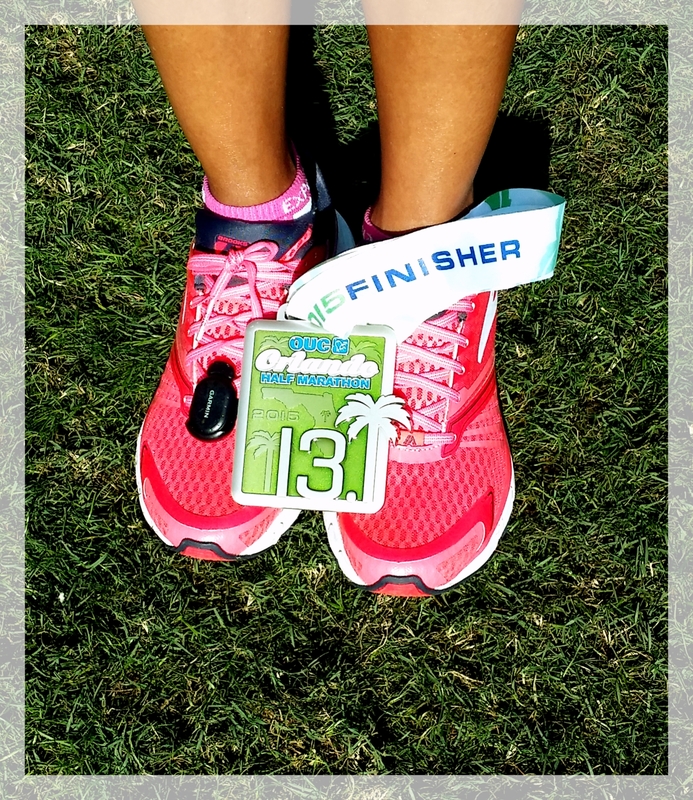 This entry was posted in Race and tagged diet, fitness, half marathon, marathon, run, running, Training. Bookmark the permalink.